I have friends who are accountants and athletes; sisters who are teachers and therapists. We all have our gifts. Mine is making life a little more fun for kids. It’s been said that my skill set is good for the “fluffy extras in life”. And while balancing my checkbook may result in heart palpitations and sweaty palms, I feel pure joy in a large group of five year-olds with face-painted cheeks and a table covered with craft supplies!!! I may be a little wacky, but if my friend helps me with my taxes and I plan her son’s birthday party… it all works out in the wash and that’s what this site is all about. On Wholesale Party Supplies, you’ll find party themes, games, recipes and party supplies. Now, these party planning tips help you put it all together by answering some of your basic questions or addressing your concerns, such as how many kids to invite, how long the party should be, or how to handle siblings. Armed with these party tips and your party theme, I hope that throwing your next celebration for children will be fun and stress-free. Here is a list of the most common questions I’ve received over the years, and as always, if you can’t find what you need here, feel free to send any kids’ party planning questions my way. Of course the number of guests you host will depend on the size of the party space, your budget, the age of the children and most importantly, how many kids you handle without stressing out. A popular rule of thumb with kids under ten years old, is to invite one more child then the birthday child’s age. For example if your child is turning 8 than you should invite no more than 9 guests. When children are younger you’ll want to keep numbers small and teens prefer larger groups. When should I mail the invitations? 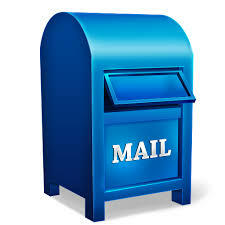 Mail or deliver invitations 3-4 weeks before the party so you and your guests plenty of time to prepare. Avoid sending invitations to school with your child, as this will cause some hurt feelings. 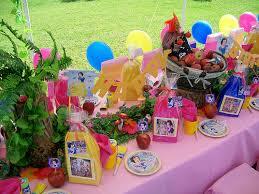 Parties for babies and toddlers usually include family members and possibly favorite playgroup or daycare friends.